This is the simplest usage form of the printf function. We will create a variable named a which holds string "Hi Poftut" . We will print this string by providing in to print function. 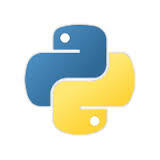 We will create a python source file named mytest.py and write download code and run it. We can use python variables in print function in string definition. We will We will provide the variable names in curly braces like below. The output will the value of a appended to the print function string. We provide the value with format function into print function. The output will be like below. While using print function formatting is important. We can format the output by using format specifiers those are similar to the variable specifiers. We will get following output where the variable a is spaces 20 character. My quote is Hi Poftut ??? We generally use different type of data structures in our applications. We can easily print these type of key and values pairs with print .